In September, under unexpected circumstances, Asian Aid’s partner 3 Angels Nepal had the privilege of meeting 15-year-old Divya. Divya comes from one of the most remote villages in Nepal. When she was an infant, her family could barely earn enough to provide her with three meals a day. Then, when she was three years old, her father died. And after several years of struggling to feed her, her mother and stepfather sent her as a domestic help to a rich family in India. There she was sexually abused by the householder, almost daily. Lacking any personal support or contacts and unable to cope with the trauma, she had thoughts of harming herself. But after three years, the family migrated to Nepal, giving Divya an opportunity to flee. Divya met a man, whom she thought she could trust, who promised to help her get a good job back in India. Desperate, she agreed to accompany him. This is how most stories of human trafficking start. 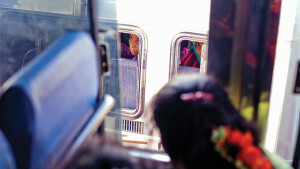 All young Nepali girls, like Divya, are targets of traffickers. A trafficker’s strongest weapon is either a promise of a job opportunity in a distant city or country or the allure of a marriage and happier life. Many girls and young women, either frustrated with little or no employment, a menial income, or ill-treatment at the hands of family or employers, fall for the traffickers’ tricks. And making things easier for traffickers is an Indo-Nepali treaty that allows the visa-free passage of their citizens between the two countries. Without the critical intervention of non-governmental organisations (NGOs) such as 3 Angels Nepal, which are disconnected from the corrupt networks and government, and are genuinely concerned about and skilled in addressing human trafficking, many more lives would be swept into this dark and dehumanising situation. While Divya and the man she was with were crossing the border back into India, a 3 Angels Nepal border branch officer intercepted them. A little investigation soon revealed the man as the trafficker he was, and Divya was taken into a 3 Angels safe house, where she finally experienced something she had never before felt—safety. An anti-human trafficking awareness lecture in a rural Nepali village. Asian Aid and its partners are actively involved in border interception, rescue and awareness through community mobilisation. After interception and rescue, usually at the border between India and Nepal, victims are all given counselling, after which they are either reunited with their family or admitted to a safe home. Since the problem of human trafficking is deep-rooted in the area, eradicating it isn’t easy. Asian Aid believes that teaching children, their parents and the public to stand up for their right to a life will help break the chain of this social evil. Provision of free medical treatment, psycho-social counselling, income-generating skills and successful reintegration are available to all survivors. Communities are now pro-actively involved in anti–human trafficking activities, and survivors of human trafficking are supported to become resilient and productive members of society. A tailoring instructor teaches former trafficked girls a trade in a 3 Angels safe house. Welfare schemes alone cannot break the social issues. Consistent and conscious effort along with intentional investment and opportunities are critical to change and societal reform. In the course of its 50 years, Asian Aid has initiated several projects focusing on education, a fundamental right that many children of Asia still do not have. To help children stay away from the trap of human trafficking, Asian Aid looks to equip them through initiatives such as after-school programs in India; schools for children with hearing, speech and vision disabilities (in India); English language programs (in Indonesia); and schools supporting the disadvantaged (in Nepal, India, Bangladesh and Sri Lanka). Asian Aid is also facilitating improved thinking and action to promote change and establish a sense of individual responsibility in communities where it has a presence via its health awareness programs, vocational training and sports programs, suicide prevention programs and change-agent groups. These skill-enhancing initiatives give young people—men and women—an avenue to find decent employment opportunities, thus keeping them safe from harmful activities. Maisie Fook, founder of Asian Aid 50 years ago, in South Korea, where it began. Maisie Fook founded Asian Aid in 1966 after being inspired to do more for the orphaned children she met on a trip to Korea. With support from her family, Maisie registered Asian Aid and began sending warm clothes, patchwork quilts and rugs to South Korea. Very soon, support had grown and Asian Aid was sponsoring children in three different orphanages in South Korea. In 1977, Asian Aid began working in Bangladesh with the Seventh-day Adventist Church to establish food distribution centres in refugee camps. Asian Aid continued working in Bangladesh and later expanded into India, Nepal, Sri Lanka, Indonesia and Thailand. Over its 50-year history, it has helped support thousands of children, many who lived in extreme poverty, with life-changing education support. Today, Asian Aid partners with some 10 organisations in six countries, impacting the lives of more than 44,300 people. It offers everyone the opportunity of realising their potential, bringing assistance allied with hope! To help young people like Divya, Asian Aid relies on the generosity of thousands of supporters. You can shine some hope into Nepal and India by donating to Asian Aid’s Advocacy Program. Find out more about the Advocacy Program and donate at www.asianaid.org.au or call +61 2 6586 4250.